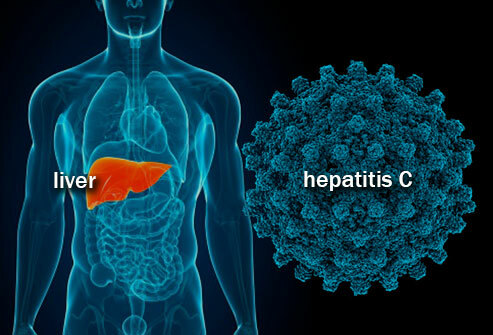 Hepatitis C is a liver infection that’s caused by a virus. About 3.5 million Americans have it, and 17,000 or so others get it each year. If left untreated, it can turn into lifelong liver disease. With the highest rate of hepatitis C globally, Egypt has developed an expertise in treating it. Now it is looking to share its know-how, as well as locally produced low-cost drugs, with foreigners having trouble getting treatment at home. After launching an aggressive campaign to fight the debilitating hepatitis C virus domestically, Egypt launched a program to help the estimated 71 million people afflicted with the disease worldwide. In May, 2016 the country launched the Tour n’ Cure programme, which has been promoted by football celebrities Lionel Messi and Dani Alves. For €5,900 or $8,000, European patients can spend a week in Egypt and tour the country at the same time they receive treatment for the virus. “That includes everything flights, five-star accommodation, medical analysis, drugs,” said Mostafa El Sayed, managing director of Tour n’ Cure. “It also includes three days of tourism.” Visitors can choose to spend their sightseeing days in Cairo, Luxor, or Sharm el-Sheikh. Patients take the first few rounds of medication while in the country, then bring the remainder of the medication home with them. They do the final test with their local doctor to determine if they have been cured. If not, they will be treated again at no additional cost, but all of the roughly 200 foreigners who have taken part in the programme, so far, have had successful outcomes. The weak spot in Tour n’ Cure, experts say, is not the treatment itself but rather that, firstly, a lot of people don’t see Egypt as a desirable vacation spot and, secondly, there are several reliable Indian pharmaceutical companies that not only manufacture the drugs but allow them to be ordered online. El Sayed said that the company realises that there are people who don’t want to travel to Egypt, so he set up a regional treatment hub in Moldova, which has already treated more than a dozen patients, and is looking at doing the same somewhere in Asia, likely Indonesia or Malaysia. Sherine Helmy, CEO of Pharco, the company manufacturing the lion’s share of the generic drugs being used to treat the virus in Egypt, acknowledged that mail order is a good option for patients who don’t want to travel. He doesn’t see the companies providing that service as competitors, rather as fellow warriors in the fight to wipe out the virus. Shortcomings aside, the programme has been a lifesaver for people like documentary filmmaker and photographer Tim Coleman. He went through two unsuccessful rounds of interferon treatment in his native UK and had grown so weak from the disease that he could hardly work. Because of his previous failed treatments, he was low on the list to receive the drugs from the National Health Service, if he would have been able to get them at all. The only option available to him in England at that point was to pay the £120,000 the drugs cost in the UK. It was during one of those visits that, while on an internal flight, Coleman saw an advertisement for Tour n’ Cure in the inflight magazine. He made the phone call as soon as he got to Cairo. To read part one of the series and see what Egypt is doing to cure its own citizens of hepatitis C, click here.